Will you try Pilates this year? Since this is the new year, 2015 should bring a new start to feeling great and warm, inside-out. Due to the holiday season and the winter weather, my first two weeks I've stayed home and practiced Pilates at home. And when I returned this year, my class was canceled, since my instructor was out-of-town for the week. So I'll tell you about my home practice efforts in the meantime. For starters, I've moved along with progress for About.com's 10-week New Pilates exercise routines. I was almost near completion and continued to do the routines. There was at least a new one to do per week, like the Shoulder Bridge and the Rainbow, to learn and do. Though there was two weeks of routines that were devoted to the Pilates gear of the exercise ring and exercise ball, I've reserved them to do later, when I would get the equipment somewhere down the road. The ring routine had an option to do with or without it, while the ball one gave me the option to mix and match the exercise routines from the past weeks. I had no problem doing that. In about two weeks, I've finished with the exercise routine and do it on my own, three times a week, and add a new Pilates classic exercise to try to learn and do. One of the benefits of going to a Pilates class at a gym or a studio is the free equipment you can borrow there, until you have money to buy your own. You can already use your own yoga mat and place it on top of the Pilates mat for more support. Besides doing regular mat exercises, you can use their magic circles, exercise balls, dumbbells, and resistance bands. If you use straps for yoga, that can work as well, too. if you invest into a Pilates beginners kit that I've previously mentioned in an earlier hub last year, you have all the components to do your own Pilates routines and vary it week by week. Would you use the exercise ball for your Pilates mat routines? Since my last hub I've posted here last month, I've gotten better every day with my breathing in my home practice. Already I felt warmed up this winter by doing Pilates earlier in the day than later, so I can brave the cold to leave to the gym and head back home. I've already planned to do it, an hour earlier, before I head to class, and have updated it on the same day or earlier the next day, so I won't fall behind in my Pilates practice journal every week. Although Pilates might not be for everyone, due to the breathing and standing on all fours for doing the plank and other tough exercises, I would suggest to give it a go and try it out for yourself. I would also have to say, that I have improved immensely with the open-leg rocker, and a little bit more with the swimming inversion exercise. For the others, I've exceeded my goals to do the maximum amount in the repetitions allowed and continued to improve with the others. I feel ready I can tackle new ones as a beginner. I don't feel ready to advance into the intermediate and experienced classes like Pilates Plus, and Pilates Reformer. While I haven't heard back from my gym on the debate of Standing Pilates being a Cross Fit class, I hope to try it in the spring, even if I don't hear back from them by then. I'm willing to give it a go, since I've felt stronger than I did last fall. I've looked forward on trying Hydro Pilates in the spring, too, which is taught by the same Pilates instructor. From what I've heard about it last month, there was a total of twenty-five people who attend that Tuesday-Thursday morning class, which is compared to about six to eight people who attended my Monday afternoon class. I've also thought about trying out Stretch-lates, a fusion class of stretching with Pilates exercises, and/or Yoga-lates, another fusion class of a combination of Yoga and Plates, also in the spring. 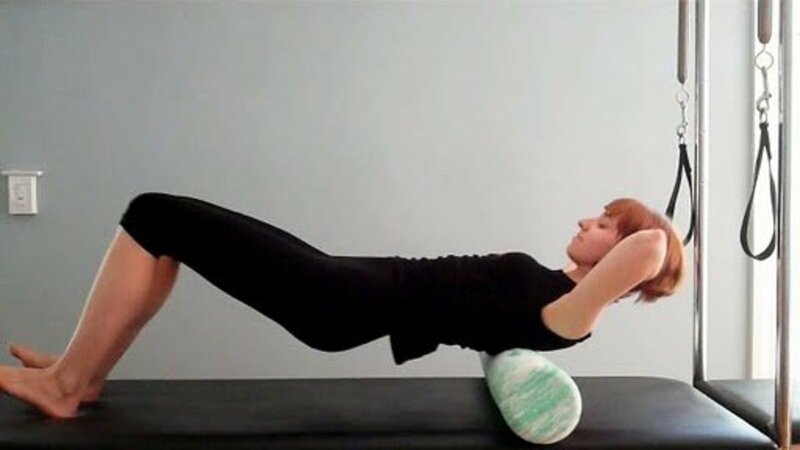 To fellow Pilates Practitioners who are beginners and up to advanced, what was the hardest Pilates exercise you ever learned in class that gave you troubles? What tips do you have to others who are struggling with? 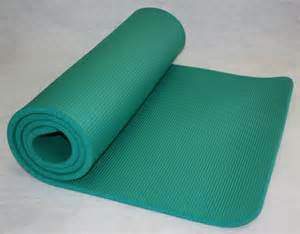 A Pilates mat comes in a variety of sizes, colors and styles. They are thicker than yoga mat, when we can feel padded from the floor. It should be a half-inch thick, firm, long and wide enough. They can be folded or rolled up. The rolled up is easy to carry for storage, easy to find in stores and online, and made from dense foam or rubber. Try to find one with straps for easy storage and carrying to class. They're inexpensive to buy, whereas the folding ones are more expensive, then what you find in a studio, heavier and not quite portable, but do come with straps to carry it to class. Good luck Summer. Thanks for stopping by. Keep me posted. I just got a mat. The one with all the exercises marked on it. Wish me luck!